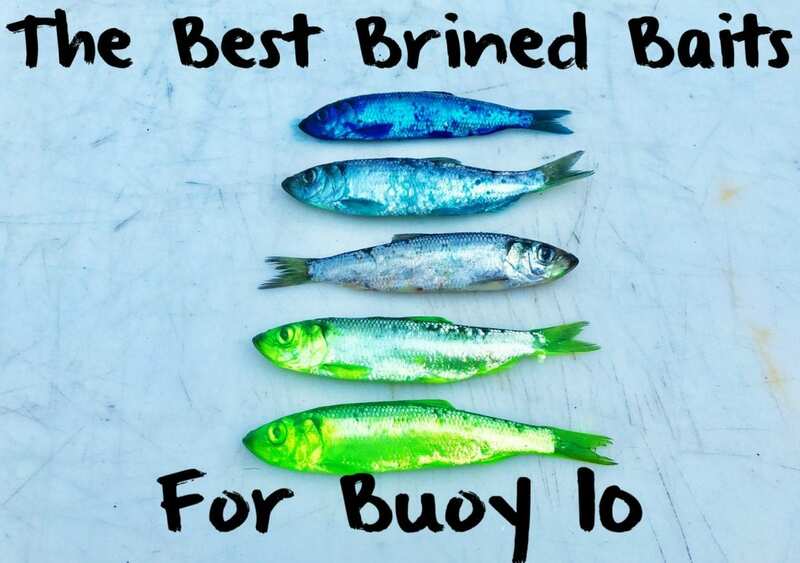 At Buoy 10 you are fishing rod tip to rod tip with others. There are 1,000 of rods in the water. You need to have the best bait for the salmon to pick you. Good bait consists of several things. I like good scale retention, which creates a good flash, good color and a strong scent. Having those components translates into more bites. When picking out good baits you need to be selective. Get the most bang for your buck and choose baits that will last a day. When you are going through the bait freezer I recommend not just grabbing the amount of trays you need, rather picking through them to grab the perfect trays. A good tray is consistent of herring with clear eyes and full scales. I can normally dig through two to three cases to get one case of good bait. It’s important to make sure that the cases are still vacuum packed. If the seal is broken they can become freezer burned, which takes away their freshness. Once you have good bait the preparation for the next day starts. I always cut open my bags before thawing. This helps all the oils, blood and scent stay in the bait. If you defrost them under vacuum it takes all those good things out of the baits. Once they are mostly defrosted that is when they are ready for brine. Brining baits help keep your bait fresh all day, keeps them firm so they last longer and add color, scent and bite stimulations. This can take a no fish day to a limit. Brining is super simple. I use quart size mason jars. Normally, one jar will fit a tray and a half to two trays of green label herring. Once they are in the jar I pour my Fire Brine in. It’s that simple. Personally, I use Natural, Chartreuse and Blue Fire Brine and I think that’s standard here. This process works for anchovies and herring. There’s two ways I brine my bait. If I want a vivid color bait I’ll use straight Fire Brine. 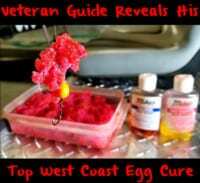 However, if I want lighter color bait I’ll use Natural Fire Brine and only add five drops of either Chartreuse or Blue Fire Dye to create a hue. Sometimes you only want the bait to get a light hue to it rather than an overwhelming chartreuse or blue bait. I’ll leave them in for 16 to 20 hours for both of these methods. Anise has been a staple in salmon bait for decades and I often add it to my brine. I use store bought cooking anise extract and one cap per tray. The reason I use the extract is because it dissolves in to the water and embodies the bait whereas anise oil floats on top of the brine. 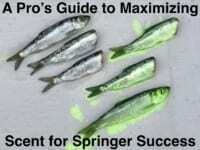 Over the past few years many other guides and I have noticed that salmon have been focused on krill. For that I use the Fire Power and I’ll put in one tablespoon per tray. It’s important to know when to use each color bait. Under sunny and clear water conditions I prefer to use a more natural color bait. This is where the light hues come into play. Under cloudy, overcast or dirty water days is where I like to use my more vivid color baits, like the Blue and Chartreuse Fire Dye (many use Chartreuse and Blue Fire Brine solely, too, which also works). You always want to go to the river with multiple colors and scent combinations and not pull all your eggs in one basket. Editor’s Note: Connor Taplin operates CT Sport Fishing. For more info on his Buoy 10 fishing trips please visit https://www.facebook.com/CTSportFishing.